This was inspired by a recent exhibition in London where I got to show some of my work. 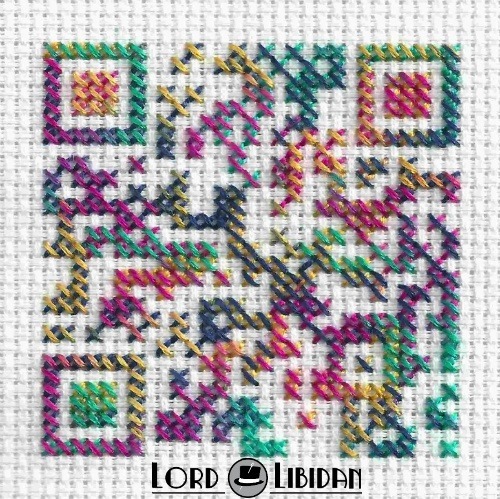 Along with it was a QR code by stitchFIGHT, a genius embroiderer. It was such a hit, I just had to have a go. Sadly, the colours make it hard to read for some readers, but it does work on some.